3 vs 3 Contest !! After the 3 cars garage arrive. I suddenly have an inspiration : 3 vs 3 battle! 1. The 3 vs 3 contest is an unique event, you will enter a challenge to fight 25 players, only 3 players will gain the best rewards. 2. 3 vs 3 battle is a Best-of-3 match, your 3 cars will fight the opponent's 3 cars. 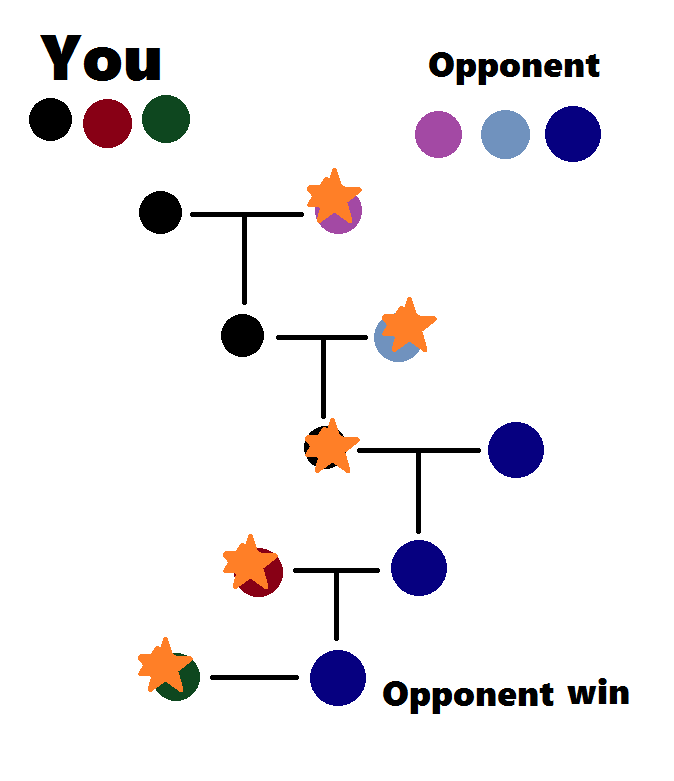 Fight until one player gains 2 wins. In the first battle, your car in first garage will fight the car in opponent's first garage. 2nd fight is Garage No.2 confrontation. 3rd fight is Garage No.3 confrontation. Whose 3 cars are the best?? *Note*, Your car win the 1st battle will not keep fighting the upcoming confrontation. For the multiplicity, you can't use the repeated cars type to fight 3 vs 3 match. For example, your garage-1 is a whale, if you use second whale in garage-2, you disobey the rules. (X): Whale - Whale - Surfer. (X): Whale - Pyramid - Whale. (O): Whale - Diamond - Surfer. You can't enter the battle, and the opponent will gains one free win when you disobey the rules. If you don't have car in 2nd garage or 3rd garage, opponent will gains free wins too. Sorry for poor English, I am come from Asia. Its cool if its like limited time event ! After I thinking it, I found that if Player-A got 2wins but third car of Player-B destroy player-A's all cars, Player-B should be winner. Your 3 cars fight the opponent's 3 cars , one by one each battle, the winner's car will keep battle until been destroyed. The winner will appear when he destroy all the cars of opponent. You destroy 2 cars but Opponent destroyed all your cars, opponent win, if it was Best of 3, you win.